Love being the first to hear about the latest in People & Events? Sign up for our email list. At the age of 82 and more than 50 years into his entertainment career, Engelbert Humperdinck is still on a roll, writes Ajeng G. Anindita. Warmest Christmas Wishes is your first holiday album in almost 30 years. Tell us the idea behind it. I love Christmas. For over 40 years, I have gotten up on Christmas morning and blasted my other two Christmas albums to wake everyone in the house. I wanted to make sure everyone was awake. This new album feels like a more organic version. I love the new original song “Around the Christmas Tree”, written by the nephew of my oldest army pal. He captured the magic of the feel of Christmas and I hope I did the same. It’s more of an old-fashioned holiday record. I bring many wonderful memories of Christmas as a child and when I became a father myself, and how wonder filled this time of year is in the eyes of a child. After more than 50 years in the music industry, what keeps you going? Working hard! The road is all I have known. It’s a lifestyle that is hard to give up and it seems the same goes for the faithful fans who follow me all over the world. Music is keeping us young! How do you maintain your voice after all these years? I sing! I work a great deal and that keeps my voice in shape. If I don’t sing for three weeks, I can feel the difference. So I always try to work on something musically at home. Among all of your albums, which one is your favourite? It’s so hard to pick a favourite. The first few were packed with great writers and arrangers. I really loved the Live at The Rivera Las Vegas recording of my show. It shows all the different sides of my act. Dean Martin was the one who brought me to the Riviera Hotel. What are some memorable moments you’ve experienced in the industry? It started right at the beginning. I got the chance to do Sunday Night at The London Palladium TV Show. I was replacing someone who was ill. I had six minutes to prove myself. I felt ill with the nerves, but it was fate. “Release Me” started selling 80,000 to 120,000 copies per day after that. I also remember getting my own star on the Hollywood Walk of Fame. It was hard to believe my name was amongst all the stars I had loved as a boy. Amy Winehouse. I loved her voice and style and am so sad our duet never came to be. She could have taught me a lot. God rest her soul. last a long time – steady wins the race but take time to enjoy the fruits of your labour and the loves of your life – your family! 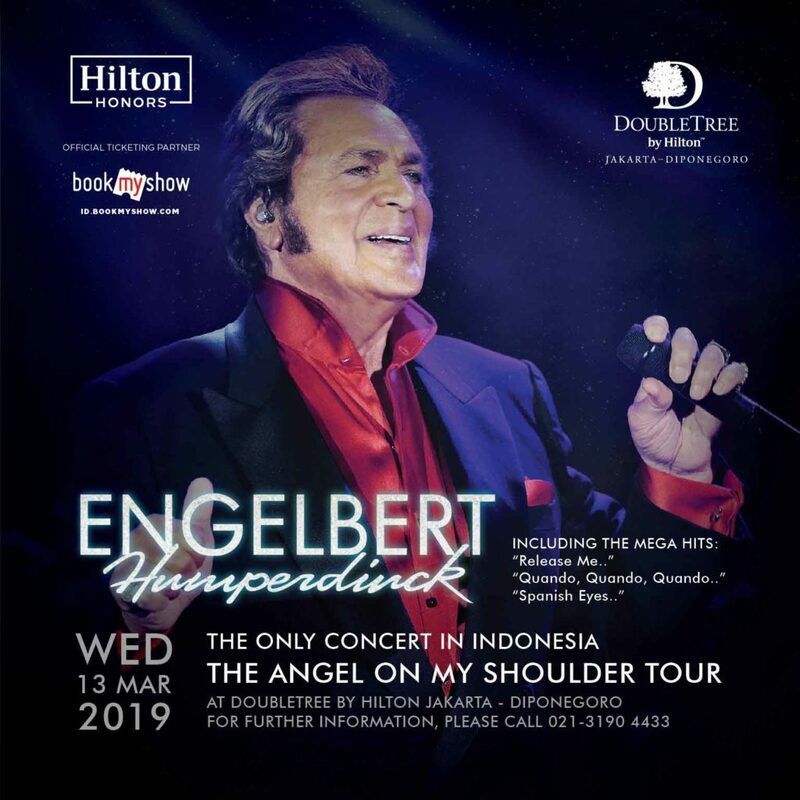 Engelbert Humperdinck will give a concert on Wednesday, March 13 at DoubleTree by Hilton Jakarta-Diponegoro. Book the tickets now. 1. Engelbert Humperdinck concert in Jakarta "The Angel on My Shoulder"
English singer Engelbert Humperdinck, who topped the UK pop charts in 1967 with “Release Me” and “The Last Waltz”, launched his latest album, Warmest Christmas Wishes, last October. His 2017 studio album The Man I Want To Be includes covers of songs by Ed Sheeran and Bruno Mars. 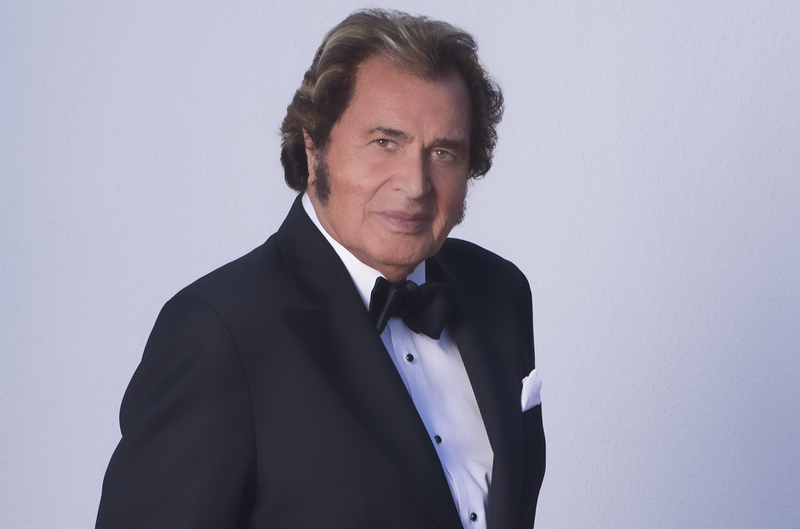 Engelbert has sold more than 150 million records worldwide. He will give a concert on Wednesday, March 13 at DoubleTree by Hilton Jakarta-Diponegoro. Engelbert Humperdinck concert in Jakarta "The Angel on My Shoulder"